As I began my first week of a regular teaching schedule, I found myself landing in a familiar place-- utter face-plant worthy exhaustion. While yes, I have a full day-beginning with community time for 1-3 graders and teaching 4th through 8th classes, reflecting on the week, I've come to a pretty quick conclusion: I'm over working. 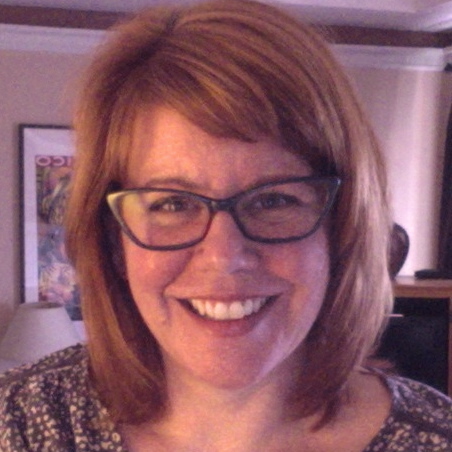 Not over working as in too much paperwork or grading. Overworking in that this week I was doing almost all of the work during class time, with the children along for the ride. 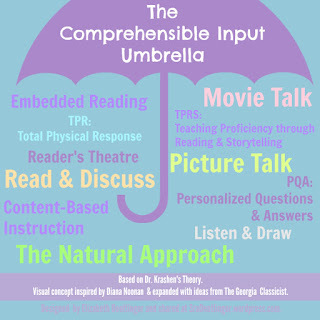 One of my goals last year and this centers on building my comprehensible input(CI) tool box--using as my guide this very helpful poster from Elizabeth Dentlinger. 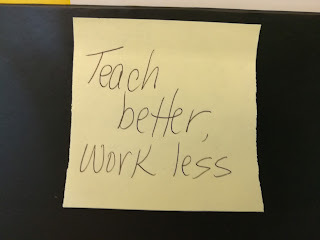 After my first few days of classes, which can only be described as performance art all day, Elizabeth sent me some words of support and her personal goal: Teach better, work less. I've started using some of these the last two days and am looking to expand the opening activities list. 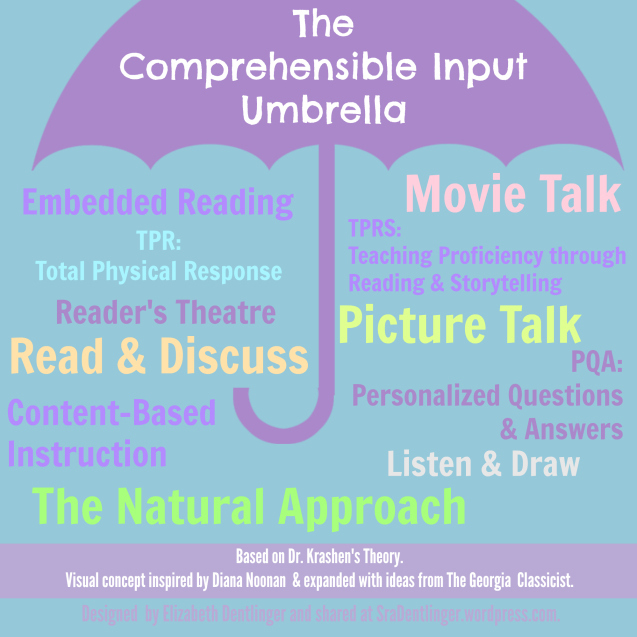 From there, I'll be using the Comprehensible Input Umbrella to help me form my class lessons. I'll be posting progress. 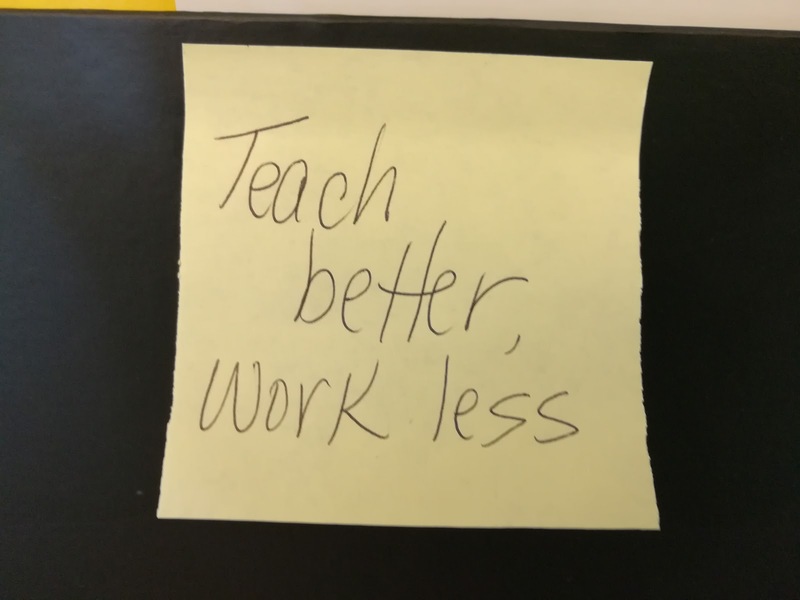 In the mean time, how have you worked toward teaching better and working less? Words of experience most welcome!